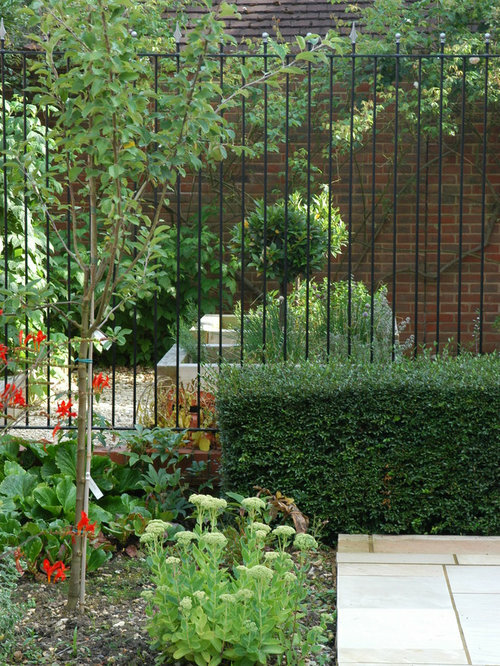 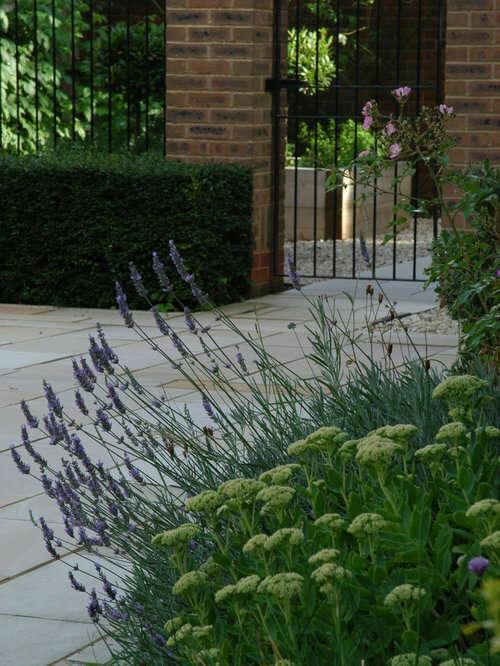 Garden for a detached house in Buckinghamshire. 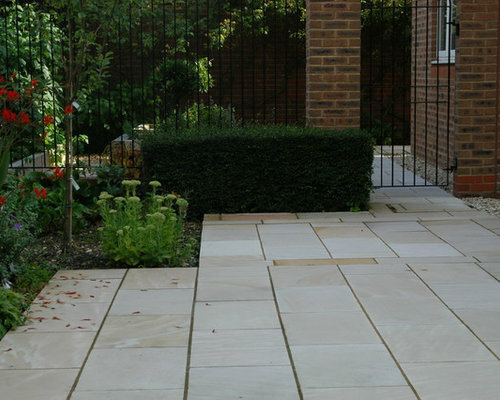 Sawn sandstone paving was used throughout the garden to unify the space, varying the pattern and size of units to create interest. 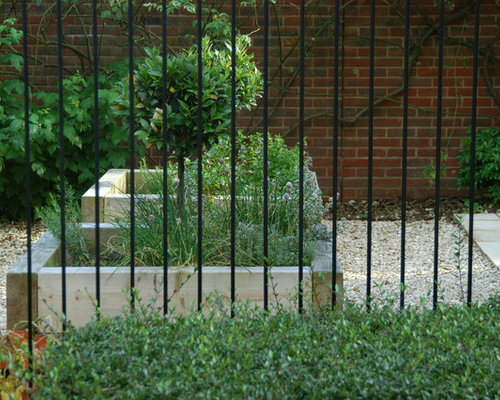 The front garden included some timber sleeper beds for growing herbs, and areas for growing fruit and tomatoes. 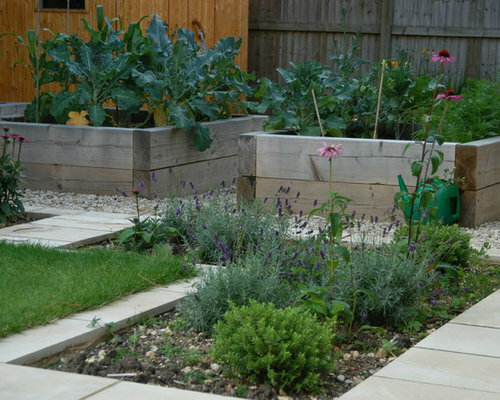 The back garden included 3 more raised timber beds for vegetables.